2018 Conference Highlight: Birds are Awesome! 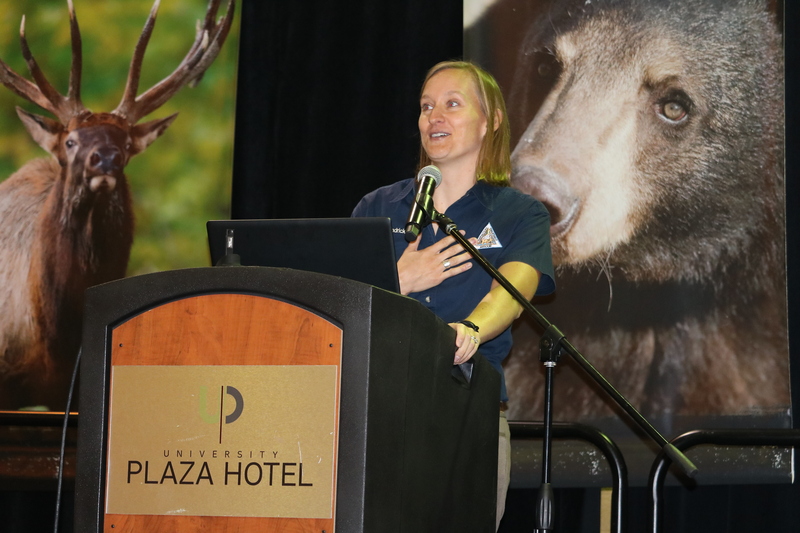 If you were at the ACI Conference, you know the challenge Sarah Kendrick faced in following an extremely powerful keynote address. Armed with a strong dose of enthusiasm for birds, she met that challenge in her account of the development of the Great Missouri Birding Trail (GMBT). Birds are awesome! They’re everywhere. They eat everything. They construct a diverse array of nests, some of which are engineering marvels. Ebird.org is a great database of checklists for birders. It generates lots of money. Americans spend $75.9 billion annually on wildlife watching activities. It’s a gateway activity. It’s easy to do. It’s fun. And it leads to other outdoor activities. Missouri is one of 40 states with a birding trail. Like the others, the GMBT is not a physical trail, but rather a list or map of the “best of the best” places to go birding for the 335 species of birds that occur in Missouri. To select sites for the trail, MDC worked with other state agencies with public lands, as well as non-governmental organizations. Together, they identified and visited potential sites. They visited the sites and met with their managers. They then worked with the managers and local birders to write site descriptions. The answer is promote and hold launch events! MDC organized six events around the state to launch the trail. Doing so required administrative support and continued partner cooperation in conducting birding tours at the events. Naturally there were press releases and flyers (no pun intended), and of course a website – GreatMissouriBirdingTrail.com. Sarah said the main way to keep costs down is to keep things simple. Online-only (vs. hard copy maps, etc.) is cheaper and may make more sense. Google Maps are free and incorporate well with your website. WordPress sites are cheap, but designate someone to maintain your site. Leverage your partnerships for promotion and event locations. Set up a schedule for reassessment of your sites. The frequency will depend on the number of sites and available staff. Consult other states that have built trails.